The Chalk Hill Estate Winery benefits from tremendous name recognition based on the winery’s outstanding reputation but also from the surrounding Chalk Hill AVA. This appellation, one of thirteen in Sonoma County, is located between the cooler Russian River appellation to the west and the warmer Alexander Valley to the northeast. 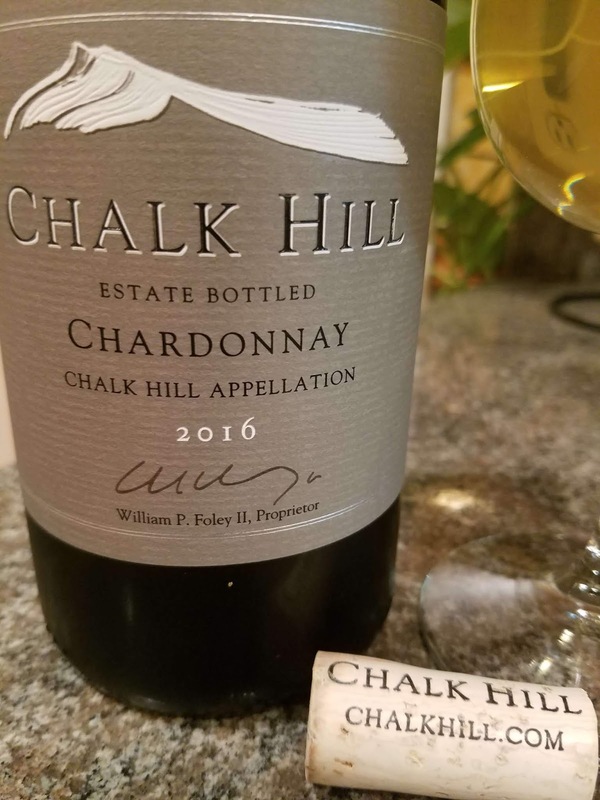 The Chalk Hill AVA is slightly higher with lower soil fertility with the top soil a “distinctive layer of chalk-colored volcanic ash which inspired the name of Chalk Hill, the appellation, and the estate”. 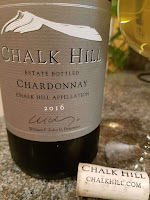 Within both the AVA and Estate reside several microclimates with the lower cooler sites more suited for Chardonnay used in the Chalk Hill Estate 2016 Chardonnay ($42). The vines were planted using Vertical Viticulture techniques where the rows were planted to follow the rise of the terrain. Cover crops prevent erosion and the layout allows breezes and sun exposure which translates to acidity and ripeness. The grapes were fermented using native yeasts with frequent lees stirring and aged eleven months in 100% French oak. The result is a very balanced wine with depth and texture from stirring and noticeable butter and spices from the oak treatment. Yet, neither overwhelms the fresh fruit flavor of the Chardonnay and refreshing acidity that boosts the finish. A classic Chardonnay.